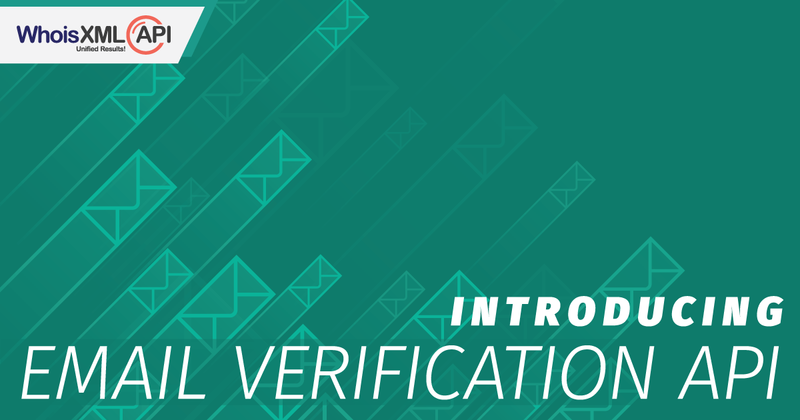 Introducing Email Verification API, out latest endeavor in providing optimal email address hygiene solutions. Email verification & validation is a process that checks email addresses to give you information about their validity, existence, deliverability, and quality. Our sophisticated email verification system implements artificial intelligence, multi-layer testing and intricate algorithm to identify troublesome email addresses. And all that in real-time too! The most basic check to verify if an email address is valid or not is by checking if it is syntactically correct i.e. there should be an email handle part followed by the @ symbol and then the domain part. For both the email handle & domain parts, there are standards set by the Internet Engineering Task Force (IETF) and the Internet Society (ISOC), the principal technical development and standards setting bodies for the Internet. Our Syntax checker ensures that the email address queried conforms to these standards using a complete syntactical email validation engine. For e.g. in the email address smith@company, you will notice that the domain is missing its extension i.e. .com, .us, .net etc. Therefore this email address does not conform to the standards set and is not a valid email address. While checking the syntax can tell you if a string of characters meets the requirements of a valid email address, it does not guarantee email deliverability. For that purpose, we have further verifications that can be selected. We have a powerful built-in fake email pattern detector which ensures that the email does not look like a random address e.g. abcd123@state.com. This system is capable of detecting thousands of fake email addresses automatically with a very high accuracy. Besides this, it can also check email addresses against all known common typos for most known email domains. The API also detects certain curse words present in the email address and flags the same. One of the best ways you can verify if an email address is valid is by knowing if there is a mail server for the domain name. When an e-mail message is sent, the sending Mail Transfer Agent (MTA) queries the Domain Name System (DNS) for the Mail Exchanger Record (MX records) of the recipient’s domain name (the part of the email address on the right of @). The query returns a list of host names of mail servers that accept mails for that domain and accordingly our system attempts to establish a Simple Mail Transfer Protocol (SMTP) connection through which the email is delivered. Our DNS validation queries the DNS for its MX records and checks if the queried email address’s domain exists and also if it has valid mail servers to accept emails. Checking the mail server existence is only a part of the picture, sometimes email addresses have mail servers but either they are parked or outdated which results in emails not being sent forward. In that case, only by attempting to send an email can actually help in authenticating the email address’s validity. Our SMTP validation uses email sending emulation techniques to ensure that the queried email address can receive emails via the SMTP connection. This is the most definitive method to confirm if the email address is valid or not! Mail servers usually only accepts mail for the email addresses that are provisioned. But in some cases, mail servers on a domain accept all emails regardless of if the email address is provisioned for any recipient or not. Even invalid or non-existing email addresses of the domain will be received in these ‘Catch-All’ email accounts. A Catch-All email account is an address that is specified to receive all messages that are addressed to an incorrect email address for a domain. When configured, the emails sent to any email address related to the domain will never bounce back. For ex: If a mail is addressed to clark_kent@daily.com instead of clark.kent@daily.com, the email will not get bounced if a catch-all account ‘support@daily.com’ has been set up too. Our Catch-All checker informs you if the email address queried is a Catch-All configured email account. By identifying these emails addresses you can closely watch them, and if they don’t seem very active then it is a better option to remove them from your list so as to protect your sender reputation score. Businesses would sometimes want to segregate the email addresses they have based on its types. Usually, for non-work related usage, people use free email providers like Gmail, Hotmail etc. Knowing if an email address is from a free email provider or from other email address domains can help businesses to segregate their b2b and b2c mailing list. Besides, these days a lot of malicious users also use free email providers, so having such email addresses flagged for checking their activity can be a good idea. Our free email provider checker identifies email addresses from free providers to help you figure your course of action for such emails. Disposable Email Address (DEA) refers to a temporary email address generated by some free services like Mailinator, TempInbox etc. so that people don’t have to give out their real email address, in order to avoid spamming. Besides that fraudsters also use them while filling up registration forms to damage the email marketing efforts of other businesses. Our Disposable Email Address checker detects almost all the existing DEA providers so that you can identify one-time use emails & prevent fake sign-ups for your service and also clean your email lists from such addresses. These checks have almost become a necessity for everyone be it marketers, online retailers, data sellers, cyber security professionals and anyone & everyone dealing with or managing user email addresses. Email verification API can be great to improve your sender reputation scoring, protect your businesses and also to identify malicious entities online. It can be placed in your own systems, allowing email addresses to be checked automatically and instantly, or even periodically so as to maintain your email hygiene. Besides that it can also be integrated directly with your application, websites, sign-up forms and more so that each time a user registers, their emails are automatically verified & validated. Also, this helps save your time & effort as there is no need for manual scanning & checking email addresses anymore!